Bat Boy is based on a character created by the satirical newspaper The Weekly World Report. Ever since introduction during the 1980’s, Bat Boy’s adventures have been a favorite feature for their readers. 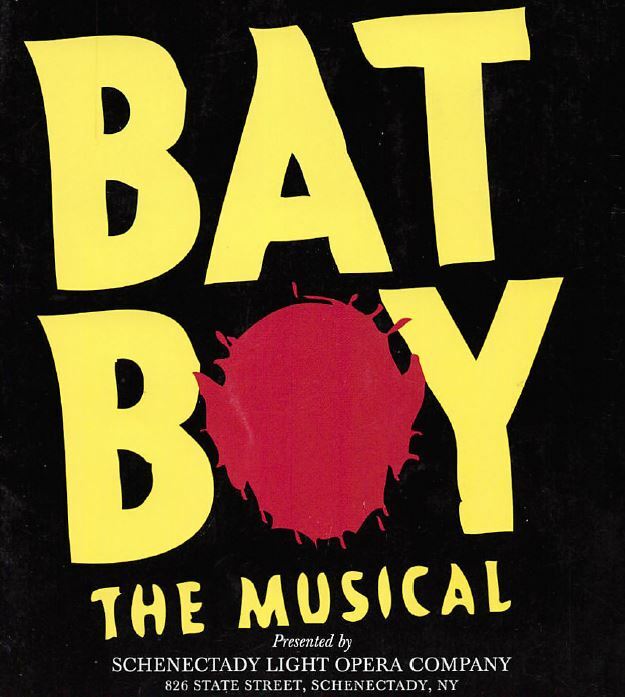 Bat Boy – The Musical begins with the discovery of the half bat half boy in a cave in a West Virginian cattle ranching town. The wild uncivilized creature is spared death and educated and assimilated into society. But can you truly remove the beast from the creature? Cows and then townspeople start to die and fingers and clues all lead to Bat Boy. Secrets kept for years are revealed but can the bloodshed be stopped?